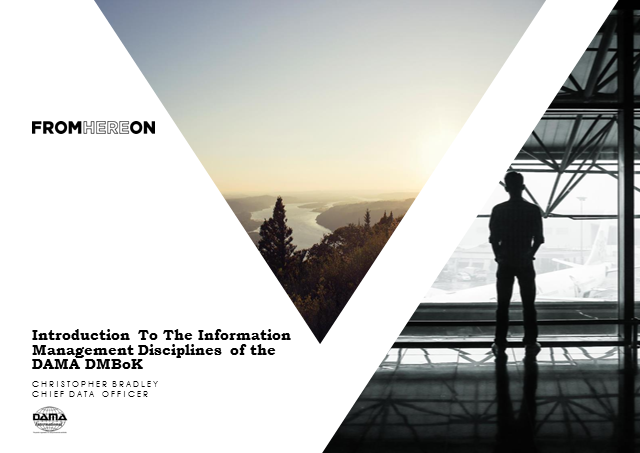 This is the first in a series of webinars describing the Information Management disciplines as defined within the DAMA DMBoK. Webinar #1 will give an overview of the DMBoK, outlining its purpose, uses, the IM disciplines themselves and the major content areas of the DMBoK. The webinar will also present an overview of the DAMA Certified Data Management Professional (CDMP) qualification, which draws heavily on the DMBoK. Finally, this webinar will give a small peek at changes expected in DMBoK 2.0 later this year. The final webinar in the series will explore these in more detail.